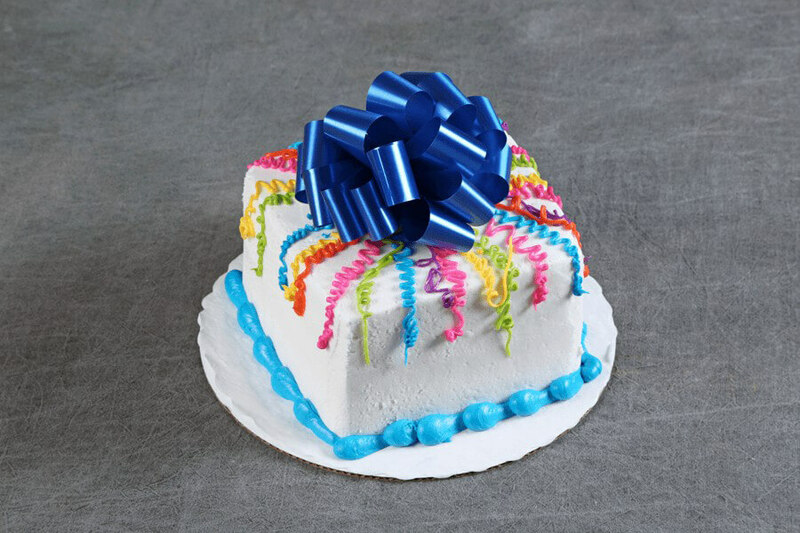 (6″ square serves 6-8) Two layers of UltramoistTM vanilla cake sandwiched and frosted with vanilla buttercream frosting. Finished off with a seasonal decoration. Bow color may vary.